It all started when newly engaged couple Brad and Janet decided to go for a drive away from Denton, Ohio. The rain poured, they encountered car problems and they were seeking shelter. They found Dr. Frank-N-Furter’s (Tim Curry) castle and decided to enter, not knowing all the weird and wonderful things that are about to happen. 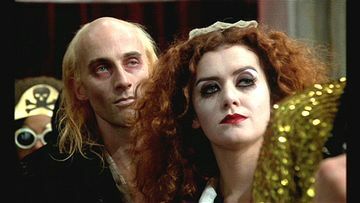 If you haven’t heard of the Rocky Horror Picture Show yet, you were probably born in the early 2000s. It’s a well known movie musical that was released in 1975 and it gained it’s popularity because of its absurdity, its sci-fi theme and maybe because of Tim Curry playing a sweet transvestite from transsexual Transylvania (catchy lyrics to one of the catchy songs in the movie). It’s considered to be one of the great classics in the movie industry (great cult classics that is). It’s already been 40 years since the movie was released and the anniversary was marked with M.A.C’s release of the Rocky Horror Collection – an entire makeup line dedicated to the sci-fi, horror musical. No, not that bald guy at the back. It’s MAGENTA “the domestic”, the one wearing a maid’s hat. We’re aiming for the look to be wearable and simple to do so we toned it down a little bit. Let’s get started. Get your face ready using a primer. 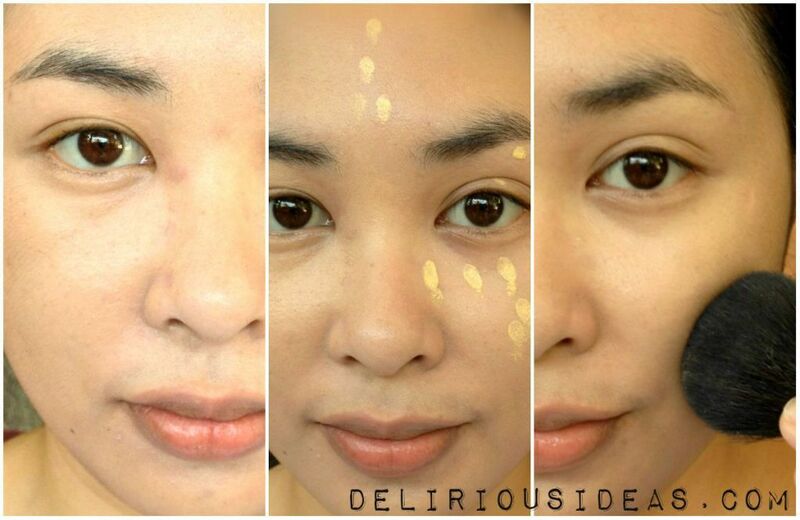 Apply on foundation and concealer and then set it using loose powder. I like blending everything out with a dense fluffy brush so everything looks even and natural. Brush your brows upward so the arch really shows. 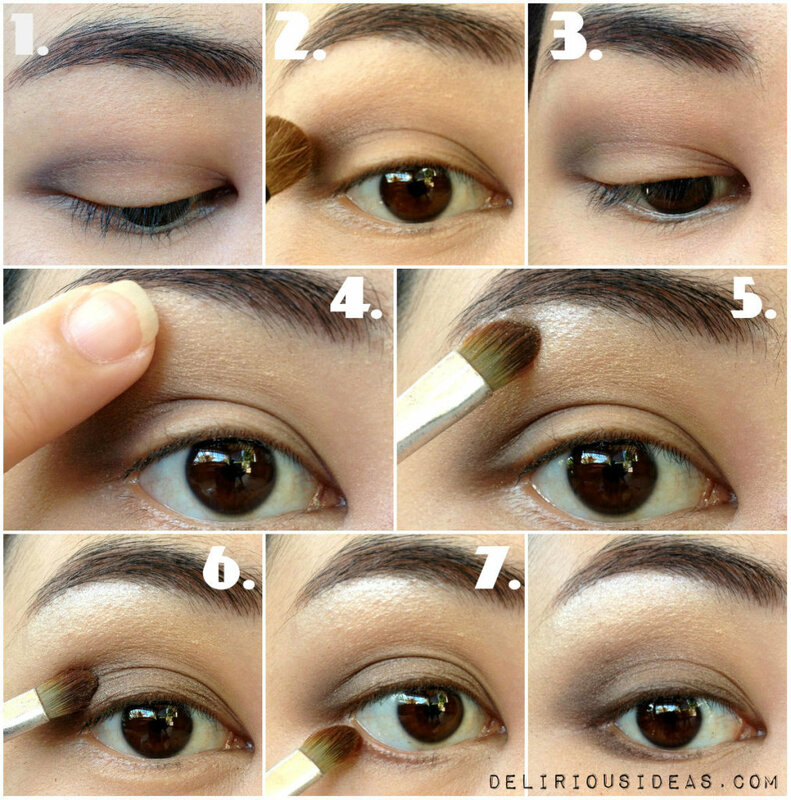 Fill in your brows as usual using a brow pencil or any type of brow product you already have. Take a little bit of your powder and lightly dust it around your brows. Colors we’ll be using: Dark brown (chocolate color), Lighter brown (taupe and ashy brown are good colors), Shimmery gold color and Shimmery white color. 1. Apply the dark brown eyeshadow on your crease. Avoid your lid area, just keep that clean for the time being. 2. Take the lighter brown color using a fluffy brush and then apply it just next to the dark brown we applied earlier. Blend outward, using a circular motion. 4. Take the shimmery gold color with your finger and apply it directly below your brow bone, extending it to the light brown color we applied. Blend again using a fluffy eyeshadow brush. 5. Apply the shimmery white color underneath your brows using a flat brush. 6. and 7. Take the light brown again and apply it on the center of your lids and your lower lashline. 8. Apply mascara on your upper and lower lashes. Apply a second or third layer of mascara to achieve that dramatic effect; you can also do the same with your lower lashes. 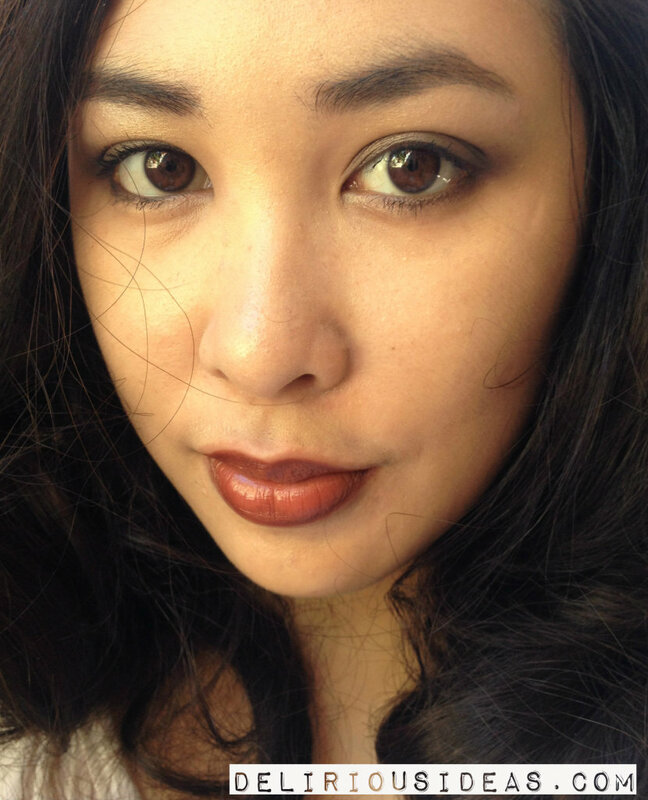 Use a darker maroon colored lipliner to line your lips. Apply your brick red lipstick and you’re done. The only thing you need to top off your look is to wear a maid’s hat and then maybe tease your hair so it looks puffier than usual.